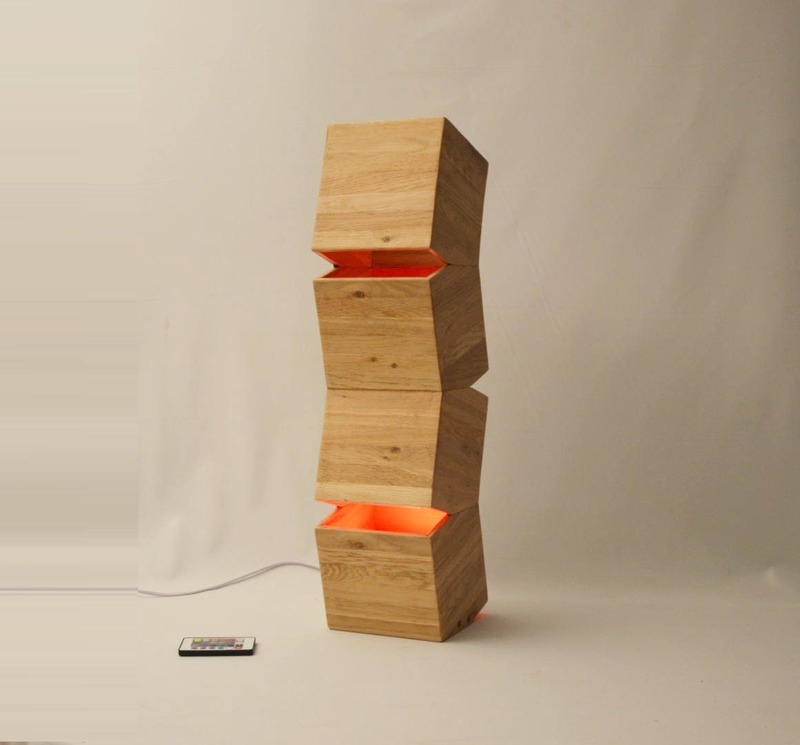 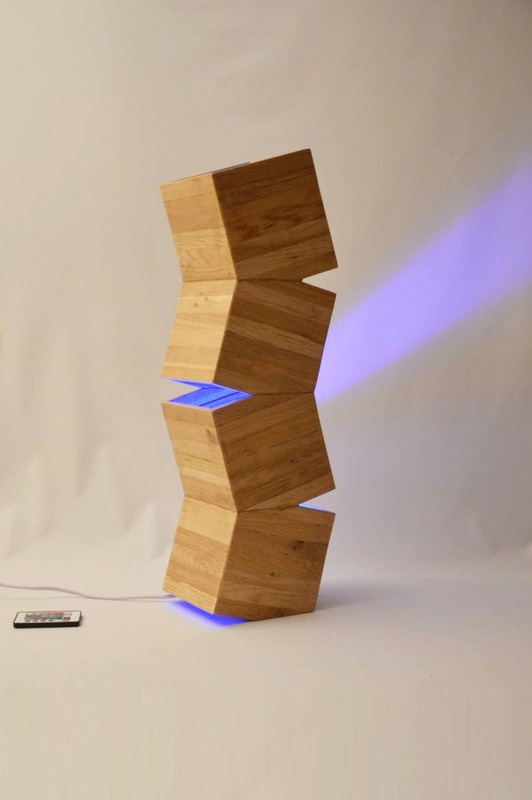 This original design floor lamp is made up of four stacked boxes. 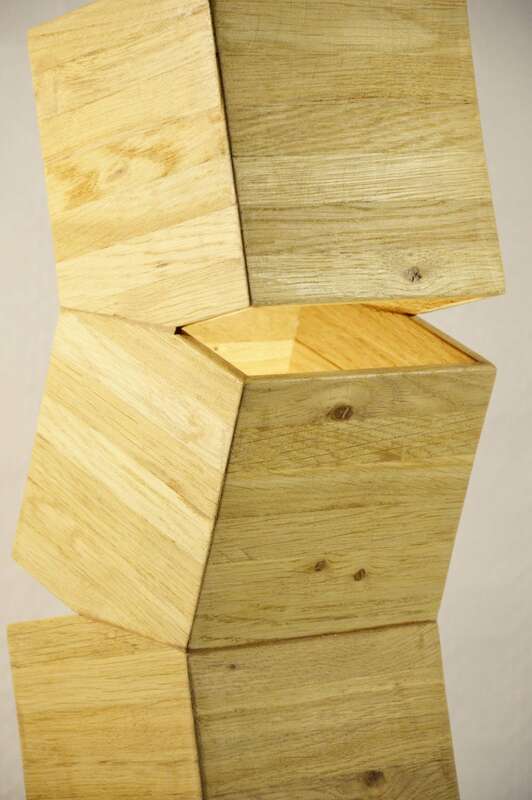 Made from recycled oak floor wood. 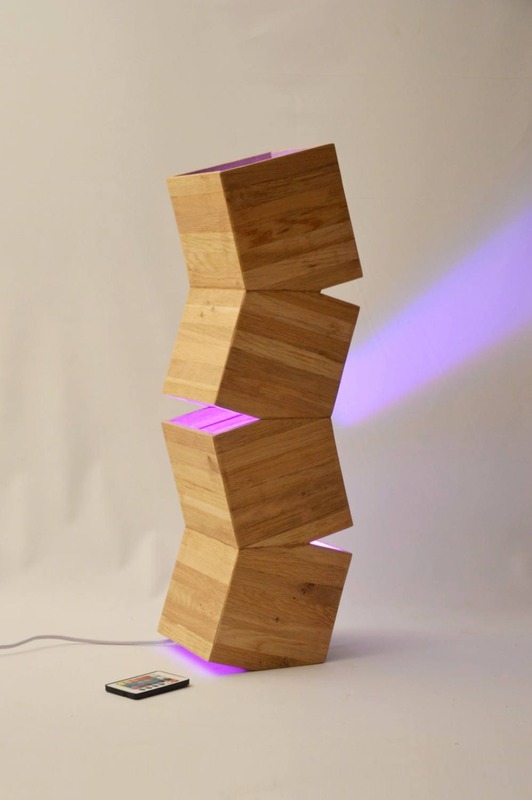 This unique lamp will bring a warm atmosphere to your living space. 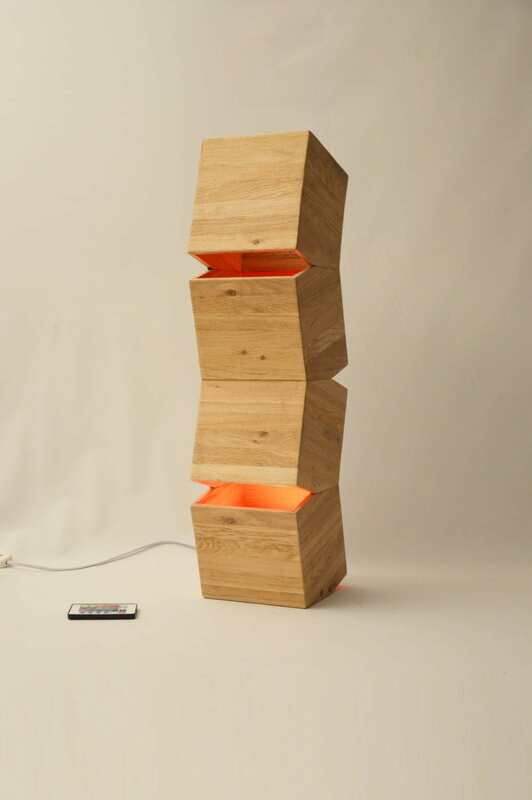 This big lamp lamp works well as floor lamp but can be place on a side table.